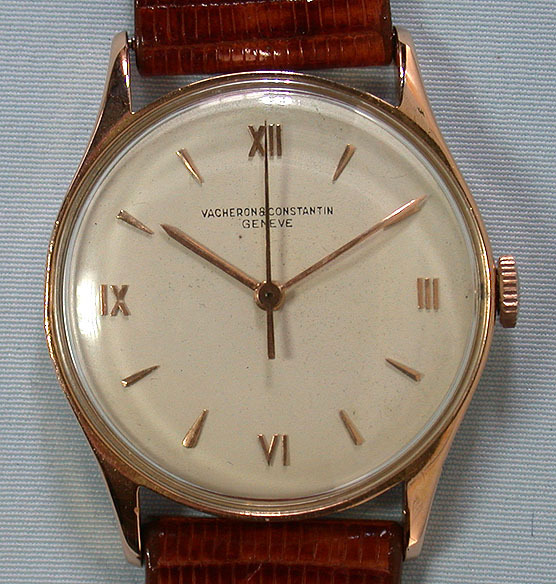 Fine Swiss 18K red gold Vacheron & Constantin center seconds vintage wrist watch circa 1942. 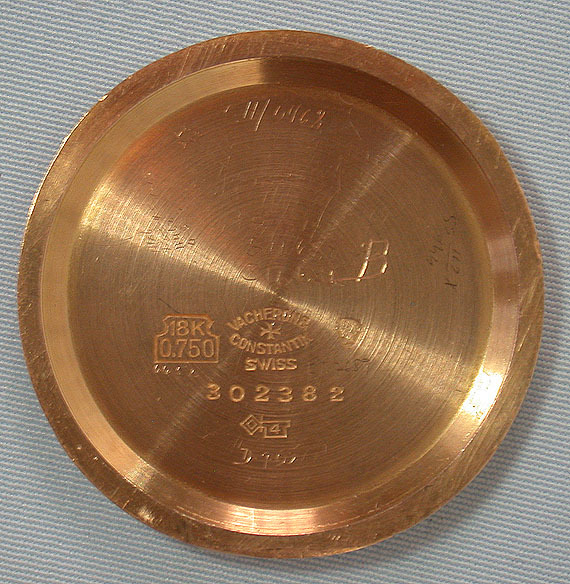 Silver dial with hard enamel name, applied gold markers, and gold hands. 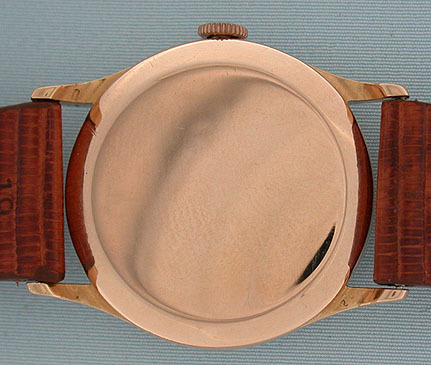 The case with downward turning lugs. 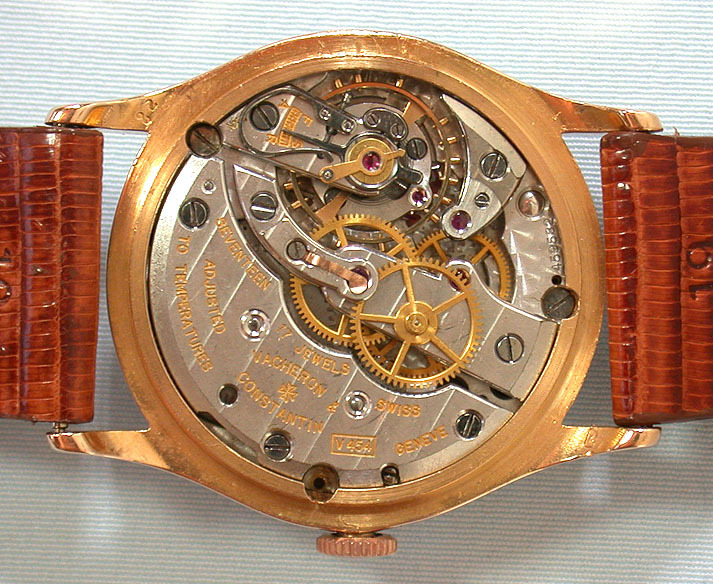 Adjusted 17 jewel movement.